Family Day Open House BBQ with B&B Homes June 11th 11am-2pm. B&B Homes is hosting an open house family day BBQ to celebrate finishing some new RTM builds for new homeowners Saturday afternoon, June 11th. Tour some freshly done RTM’s, eat some food, enjoy entertainment for the kids and get your questions answered by B&B Home’s favorite mobile mortgage specialist, Cari Skjerven! Bring the whole family to our RTM showcase BBQ taking place Saturday June 11th from 11am – 2pm. Come help us celebrate the wrapping up of a few RTM home projects for some excited homeowners. You’re Invited! 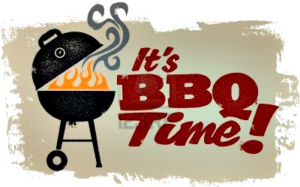 B&B Homes is hosting an open house family day BBQ to celebrate finishing some new RTM Homes for new homeowners Saturday afternoon, June 11th. Tour some freshly done RTM’s, eat some food, enjoy some entertainment and get your questions answered by B&B Home’s favorite mobile mortgage specialist, Cari Skjerven. More details to come! Bring your family! B&B Homes will be inviting past clients and invites anyone interested in learning more about RTM Homes to attend!